Say that title three times fast! 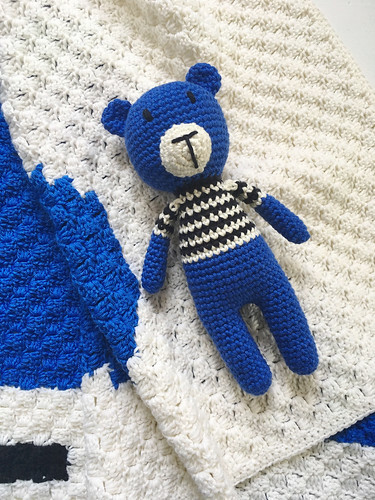 Today I'm sharing the C2C project I alluded to in my last C2C Baby Blankets post, with the addition of a little matching bear doll! 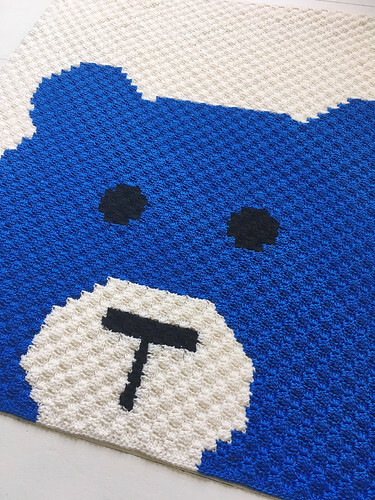 This blanket began as a drawing on graph paper which I then crocheted with the Corner to Corner method. 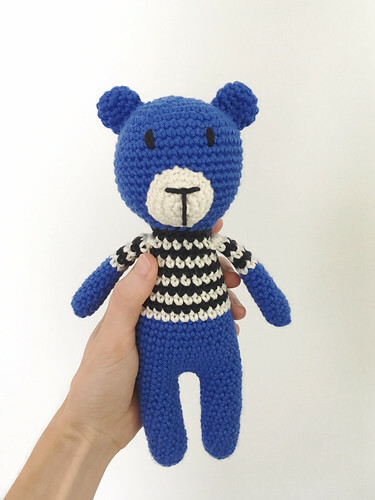 I used Baby Bee Sweet Delight yarn in Cobalt, Naked and Soft Licorice, with a size G (4.0mm) hook. 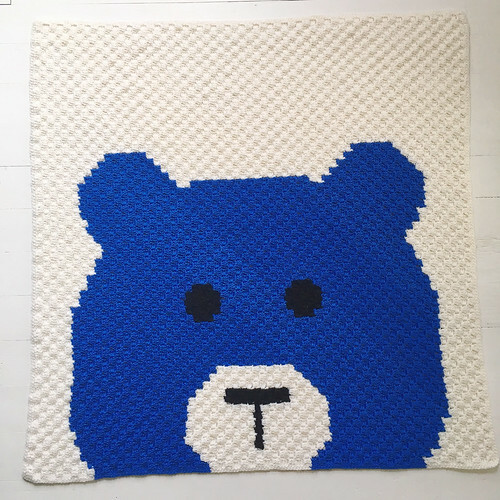 Once the blanket was complete, a matching bear just had to be made! 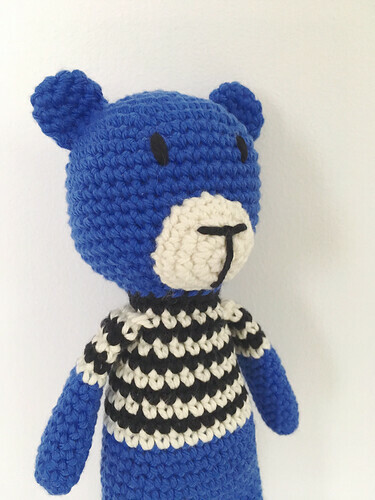 I used Hobby Lobby's I Love This Cotton yarn, a size E (3.5mm) hook, and my own pattern. I'm super pleased with how these turned out, and yes, I have another C2C blanket in the works - I had leftover yarn, what else was I supposed to do?! 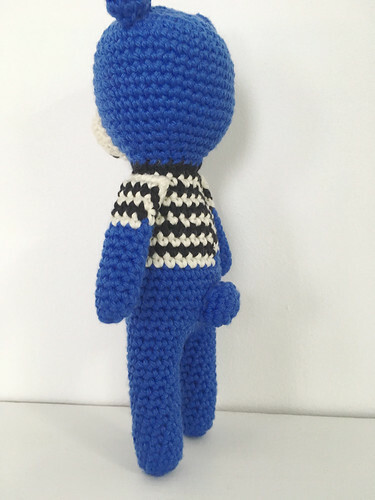 Those are adorable!! Great work on have done! 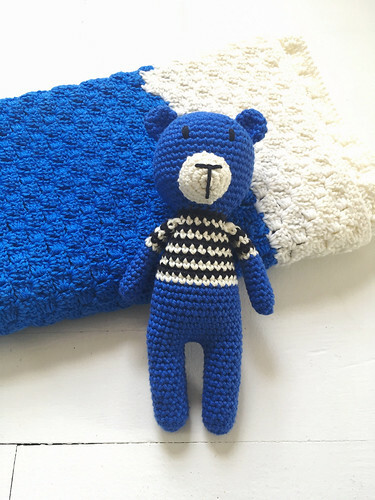 what a lovely blanket and bear stuffy!